Will My Diploma Say I Got My Degree Online? Will My Employer be Able to Tell if I Earned My Degree Online? The primary way employers will be able to tell if students completed a degree online is by directly asking. 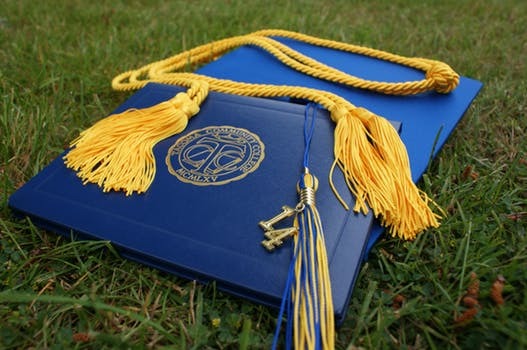 Companies concerned about the qualifications of an online degree versus a traditional degree will often have an interview question asking specifically if a degree was earned online or traditionally. Online degrees do not have the same stigma they once did. But individuals who are unsure about an employer reaction can prepare for questions from a future employer by promoting the qualities of a successful online learner and describe ways they will bring value to the workplace. Other ways an employer may realize a student earned a degree online is by information on a resume or a transcript. If a work resume details a job experience in Pennsylvania and a bachelor’s degree earned from a college in California, it is fairly obvious the student did not obtain the diploma in a traditional setting. Additionally, college transcripts are the educational record most frequently requested by potential employers when hiring a new employee based on qualifications from a newly obtained degree. To know for sure if a school has “online degree” on a transcript or has classes listed as online, a student should call the school and ask the records department. But, requesting a personal copy of one’s transcript is the best way for a student to verify 100% how it will read. Will My Employer Care if My Degree Was Earned Online? Most companies are not too concerned about online degrees, but many are wary of degrees earned from for-profit “diploma mills.” The reputation of the school, the degree received, and the accreditation of the program are the most important facts to most employers. Companies accept well known and respected universities that offer online degrees. Future students should find out the reputation of each school before deciding on a program. Additionally, prospective employers do not hold unaccredited schools in high esteem. Finding out if an online degree program is accredited should be the first step when looking for an online bachelor’s degree program. Any program that is not accredited should be eliminated from the search since unaccredited schools are usually not eligible for federal financial aid, and credit hours earned may not transfer to another school. College accrediting bodies recognize each other’s local standards and degrees as legitimate, but without accreditation, students may be wasting valuable money and time on a worthless degree. Online degrees are changing the face of education. They have “leveled the playing field’ for access to education, and the bad stigma associated with online degrees has diminished significantly. Earning an online degree is just as difficult, if not harder, as earning a traditional degree – don’t be ashamed of it!